Building a favorable business environment is a top priority for the private sector and calls for specific social, economic and political engagement strategies. It relies also on strengthening the reputation of the business, a basis for establishing and maintaining institutional relations. This process will pave a path to sustainable development. FLAG Public Affairs brings together experience and strategic analysis to offer clients guidance in their institutional activities, aiming to engage target audiences around the positions and commitments of the company or business sector. Brazil currently faces a deep reassessment of the public/private relation. 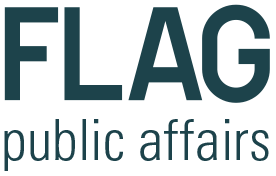 Considering the country´s sweeping political, economic and social challenges, FLAG Public Affairs believes the private sector must engage more – not less – with public entities. Increasingly, companies and business sectors must make decision leaders aware of arguments and information that will lead to public policies which in turn will be decisive for the development of Brazil and its markets. Institutional communication must also take into consideration the growing influence of consumer, environmental and citizenship thought leadership. Public Affairs activities promote a permanent dialogue with local, state and federal powers, and also develop relations with organisms that represent society in general. Institutional activities aim to reinforce and grow a relationship network that works toward a positive business environment in the country. Includes tracking discussions and bills of law of interest to clients at the several levels of power, providing timely reports and alerts whenever necessary. It also includes following public statements by authorities, opinion pieces in the media, oficial announcements. Means delivering to the client scenarios, identifying issues that will gain relevance, minimizing potential crises, thinking strategically. Also helping the client understand the expectations of target audiences and develop relationship strategies with them It includes identifying opportunities for developing positive networking and exposure. Is to act in a planned, strategic and transparent way. To inform stakeholders, to craft key messages, prepare spokespeople, build coalitions, write information kits, map stakeholders, prepare a meeting schedule with authorities and follow up on these contacts, identify possible sponsorships, guide on participating in trade associations and permanently evaluate results. Strategic planning and managing of the relationship with governments (Executive, Legislative and Judiciary), at local, state and federal levels. Strategic planning and managing of the relationship with social organisms (NGOs, trade associations, universities). Sensitive issues, reputation management, crisis committee co-ordination, position papers, Q&A, agility. Planning and implementing strategies for taking part in the dialogue whicjh leads to public policies; advocating specific causes. Information on business sectors, political and economic scenarios, political risks reports, influencer maps, writing of op-eds and speeches, presentations and support in event preparation. Use of own digital platform to follow topics of interest in government and legsilative branches, both local and national. Daily reports. Training sessions, workshops, presentations, performance evaluation.